New Jersey residents work hard and play hard. It’s no wonder a personalized hot tub is such a popular upgrade to Garden State backyards. With its famous seaside scene, strong families and tight-knit communities, New Jersey is a great place to call home. The Garden State is famous for its micro landscapes and your New Jersey yard should be no less famous. 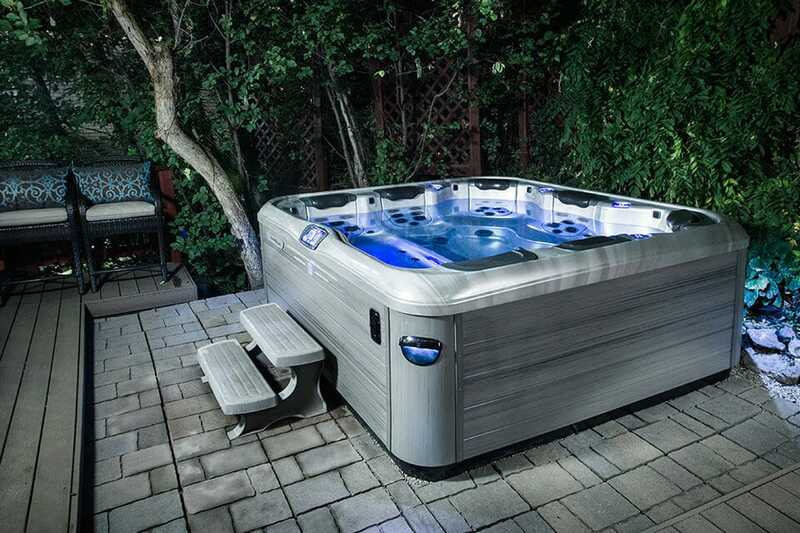 Luxuriously styled and built to last, Bullfrog Spas are the perfect addition to any home and backyard landscape and the best hot tubs in New Jersey and anywhere. Design your New Jersey hot tub today with Bullfrog Spas’ unique SpaDesign software or visit one of our Bullfrog Spas hot tub stores in New Jersey by searching the list above. **Average air temperature and rainfall based on figures published by NOAA National Climatic Data Center. Average energy use and costs based on figures published by the U.S. Energy Information Administration.